Urania (ex: sky). The Muse of Astronomy. Kyparissia Blue offers the ideal family accommodation. Families have the opportunity to stay at our Family Suite which has two separate bedrooms. The first room has a queen size bed, a sofa, a desk and furnished balcony. 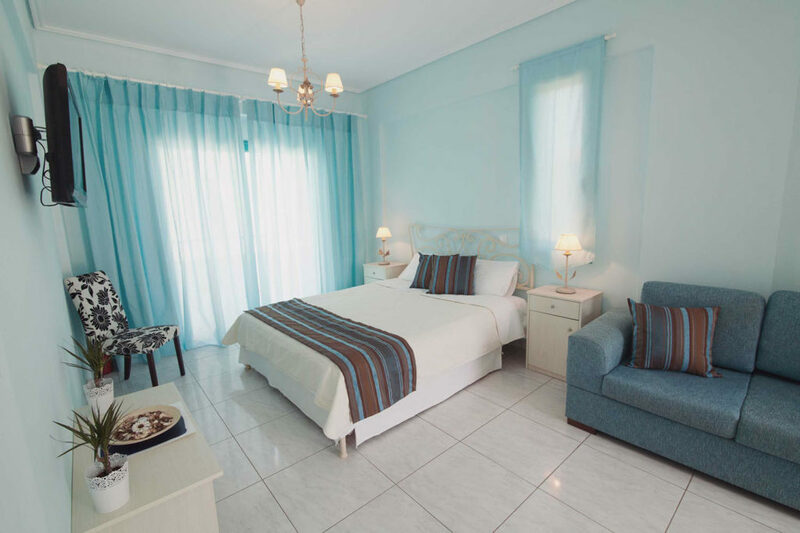 The second room has two single beds, a bathroom equipped with shower cabin and another balcony offering the ultimate in comfort. A baby crib is available at no extra charge.